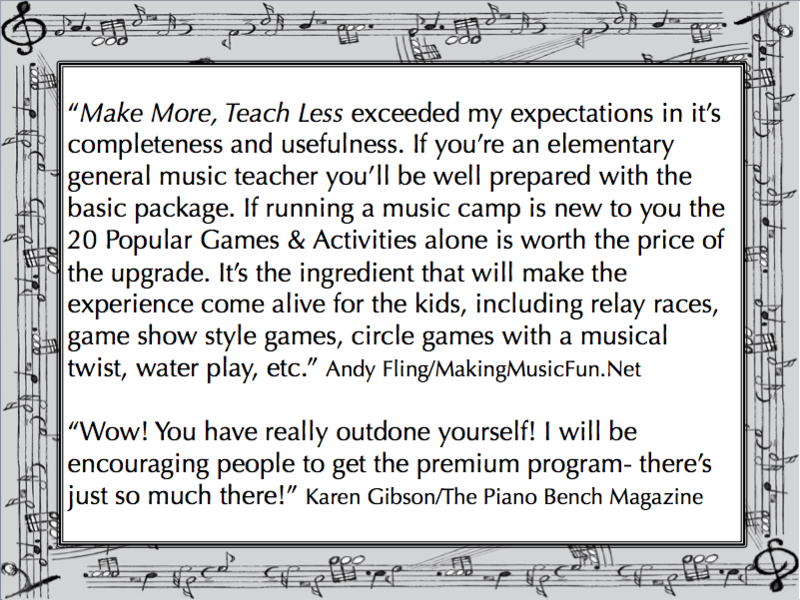 Make More, Teach Less is a comprehensive video course where Jennifer Foxx will guide you in the ins of outs of running a music camp or workshop. 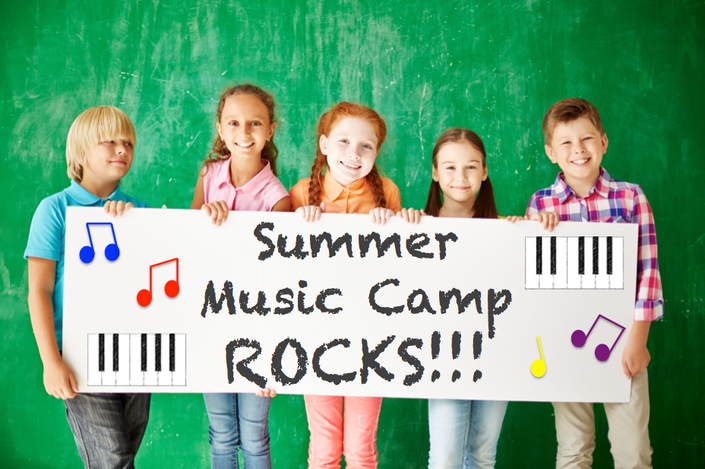 Music camps are win-win solutions for both teachers and students. Whether you teach privately or run a music school, there are a lot of possibilities to explore! Gone are the days of losing income during the summer. Not only can you retain your summer income teaching less days, you can even earn MORE over the summer. Or how about a holding a Christmas camp in December when things are a bit crazy! Instead of regular lessons in December, I hold a Christmas camp. It has become my win-win in my studio. It gives parents some extra time to do their shopping and families more time to spend together during this special month. Students LOVE participating in camp and look forward to it each year. 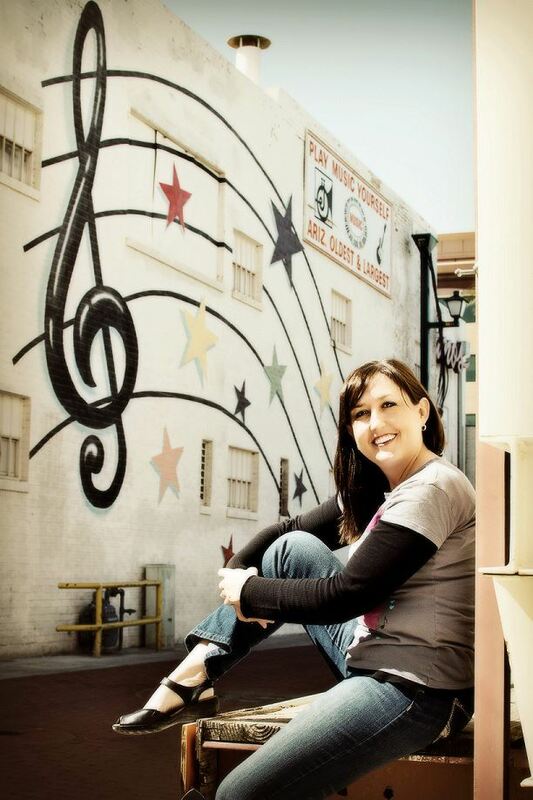 Now is the time to step out of the box and start offering a music camp! All who sign up for a Music Educator Resources course will be invited to join the exclusive Facebook group; a community of like minded teachers where we share ideas, ask questions, give or receive advice and more! Hope you will join us! Course Workbook with helpful questions to help you along your journey. Plus you will be invited to join an exclusive membership to our private Facebook community. Popular Game Tools to use at your camp that have been a hit with mine! You have been running a music camp/workshop for years and already know the ins and outs. We would never want you to be unhappy! If you are unsatisfied with your purchase, contact me in the first 30 days letting me know how I can improve and I will give you a full refund. This course is for you if you are needing some guidance in creating a successful and motivating summer camp for your students. Creating a camp does take some planning, so don't put it off, get started TODAY!